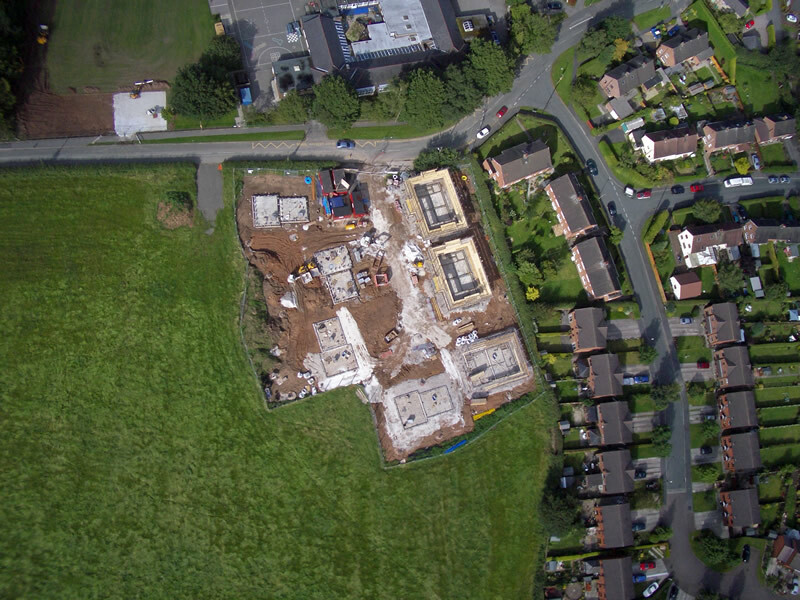 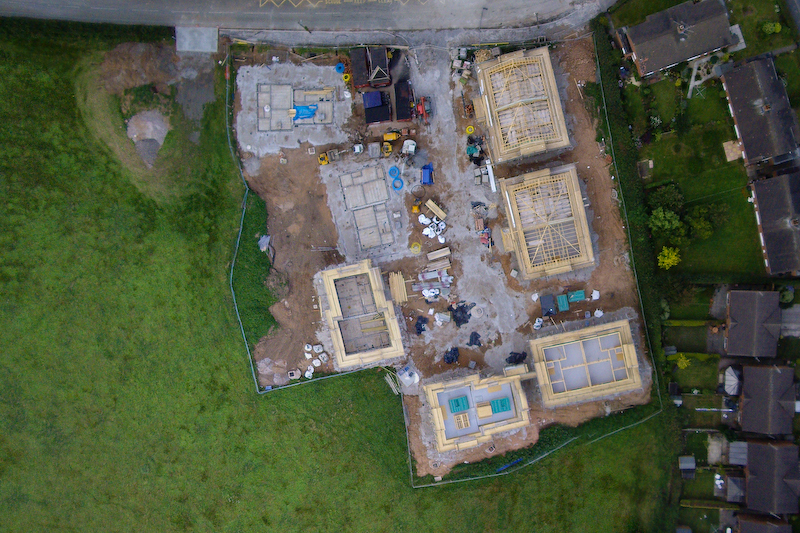 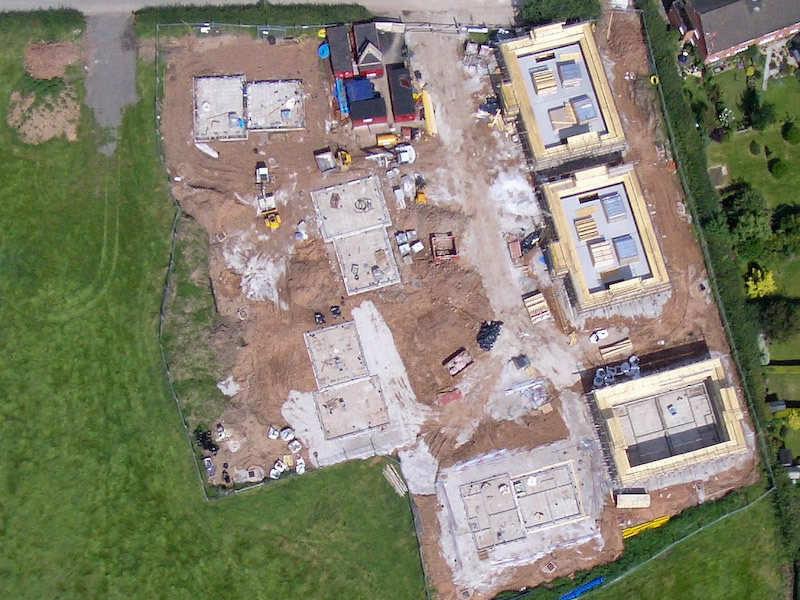 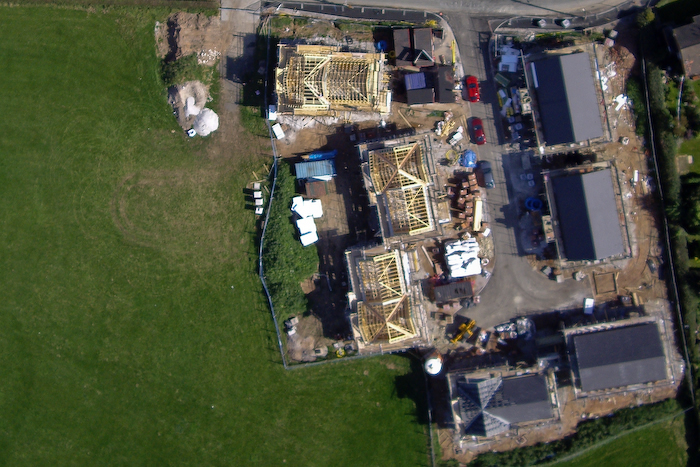 These aerial photos show the new housing project on Flat Lane. 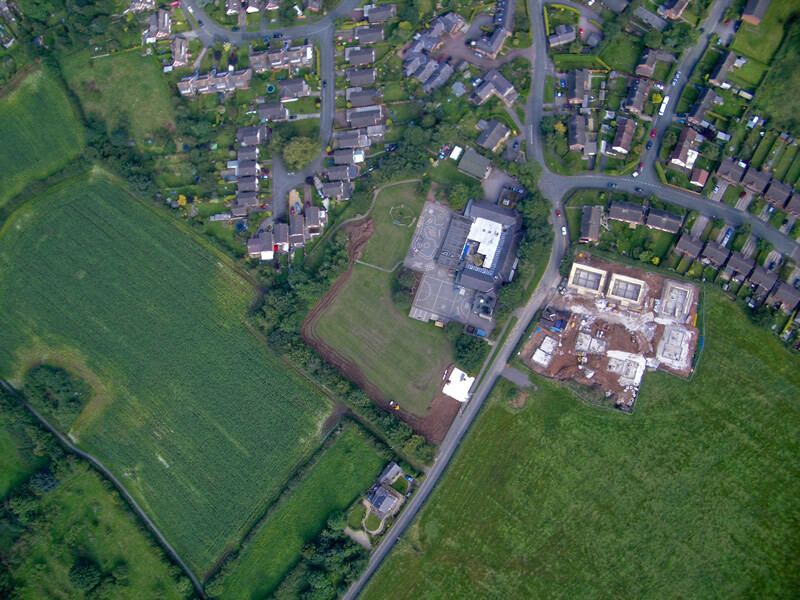 They were taken from one of David Fenton's model aircraft at about 1000 feet altitude with a Pentax Optio S4 camera. 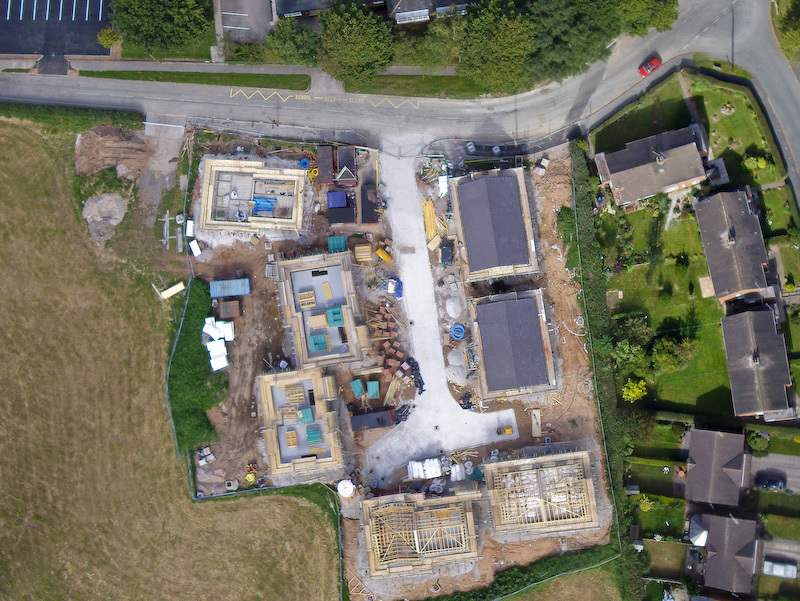 David's Gung Ho Photography website includes many more of his aerial photographic images, including aerial videos of Kelsall and of the River Dee in Chester from The Meadows. 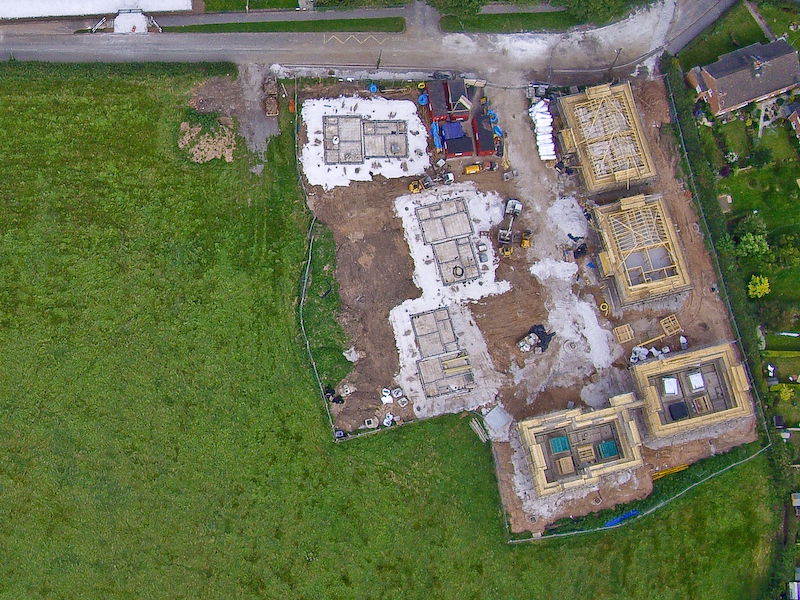 Click here for more information about David.